I recently had the awesome opportunity to go on a one-time, invite-only Atlanta Movie Tours film sites tour tailored to Captain America: Civil War, a very special event held just before the DVD release of the blockbuster movie. I'd already seen the movie, so that made this an even more exciting experience...AND we got to hang with "Captain America" for a while! Our first stop was immediately outside the doors of the offices of Atlanta Movie Tours, located in the ever-growing Castleberry Hill neighborhood. "The Gulch" was the film site for the "market scene" in Lagos, among the first scenes in the movie. On Atlanta Movie Tours tours you get to see clips of the movies that feature the sites you're about to see and/or explore, which not only refreshes the memory, it shows the magic of movie-making. Some of the transformations, like the Gulch-to-Nigerian-market, are truly magnificent! 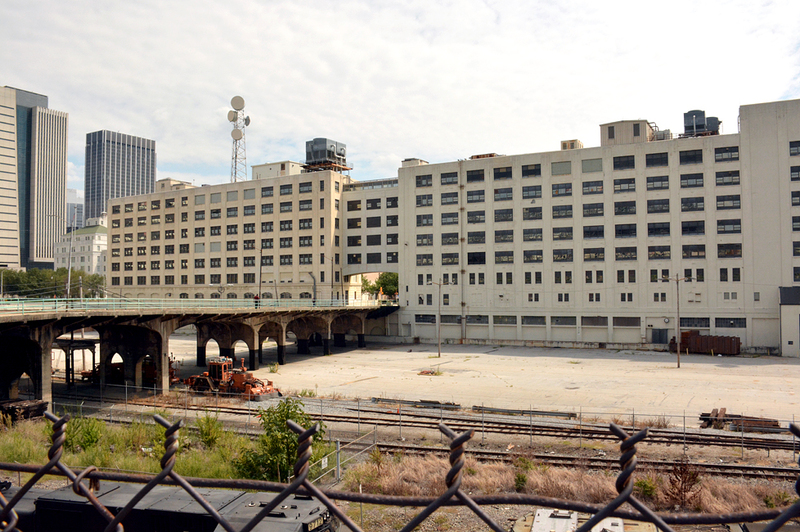 The Gulch also was used for multiple scenes in cable television's most popular show ever, The Walking Dead. Atlanta Movie Tours offers several Big Zombie tours, too! 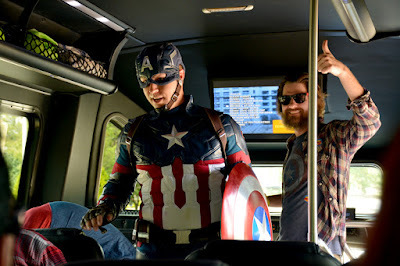 As we were approaching our next filming site, it was mere seconds after the first person spotted him that everyone on the bus had their eyes on Captain America himself! I didn't catch the young man's name, but this cosplayer is fantastic! Atlanta Movie Tours did a great job finding the best to be a part of this experience. What an awesome surprise! 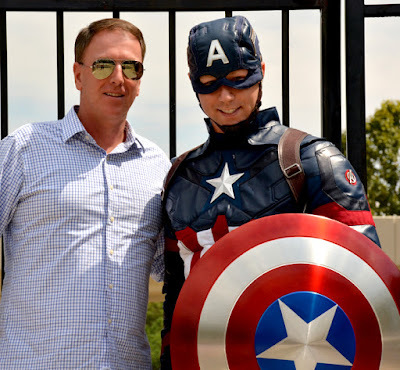 We all had the opportunity to make photos with Captain America, and we made the traditional Atlanta Movie Tours group photo...on this tour with Captain America! FUN! The film site pictured above is the Atlanta Civic Center, which served as the Center for Infectious Diseases in Lagos in the movie. Again, another magnificent transformation. I've driven by the Atlanta Civic Center hundreds of times over the years, yet when I saw the movie I did not make the connection...that's movie magic! For this tour we had three tour guides: Clyde Cauthen, Kent Wagner, and Joshua Seymour (pictured above, thumbs-up!). Each was knowledgeable, engaging and totally fun! I've been on a LOT of Atlanta Movie Tours tours and have consistently had remarkable tour guides. Thanks, guys, for making this such a fun experience! 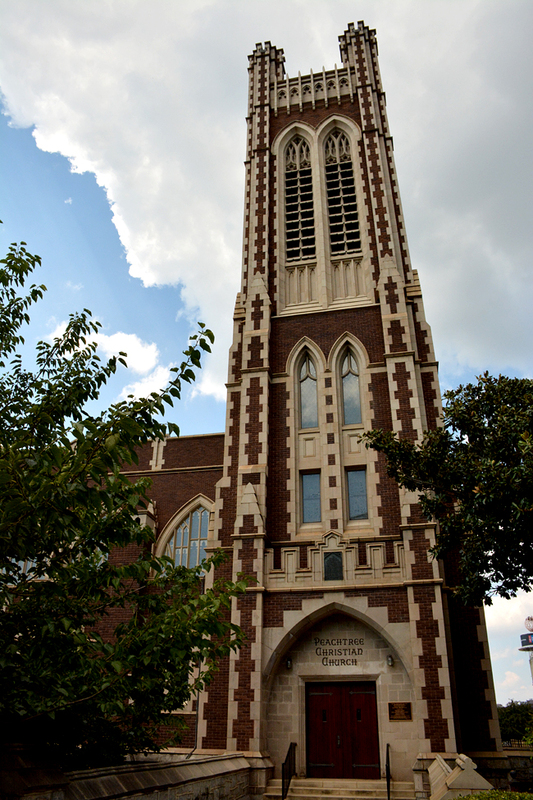 The funeral scene in the movie takes place in London, but was filmed at Peachtree Christian Church on Peachtree Street. The scene was the funeral of Margaret "Peggy" Carter. One thing that I've learned about Atlanta from going on so many Atlanta Movie Tours tours, no matter where you are in Atlanta, you're close to, or actually in, a site that was used in a movie! In fact, Peachtree Christian Church on Peachtree Street is directly across the street from The Temple, which was used for a scene in Driving Miss Daisy. We were treated to a special tour of the church by Executive Minister Dan Johnson, who was at the church during the filming and saw many of the celebrities. Mr. Johnson shared with us some history of the church and then quite a bit about filming day at the church. It sounded like it was great fun! The church, founded in 1925 and the sanctuary dedicated in 1928, is stunningly beautiful. It has one of the most remarkable collections of stained glass that I've ever seen. 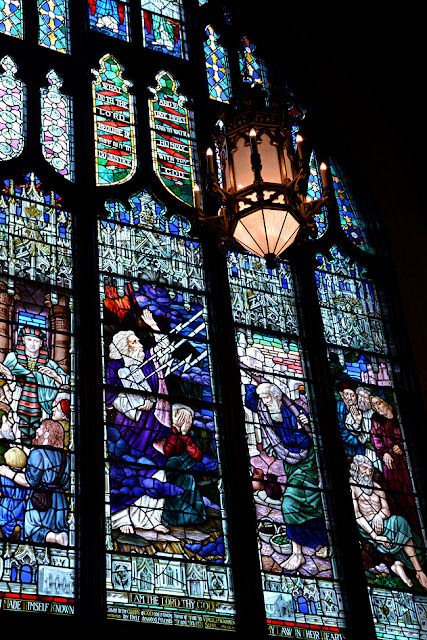 There are too many windows to get into here, but I'll share that some of the collections pictorially tell the stories of the Old Testament, life of Christ and parables that Christ told. If you ever have a the opportunity to tour the church, do take advantage of it! 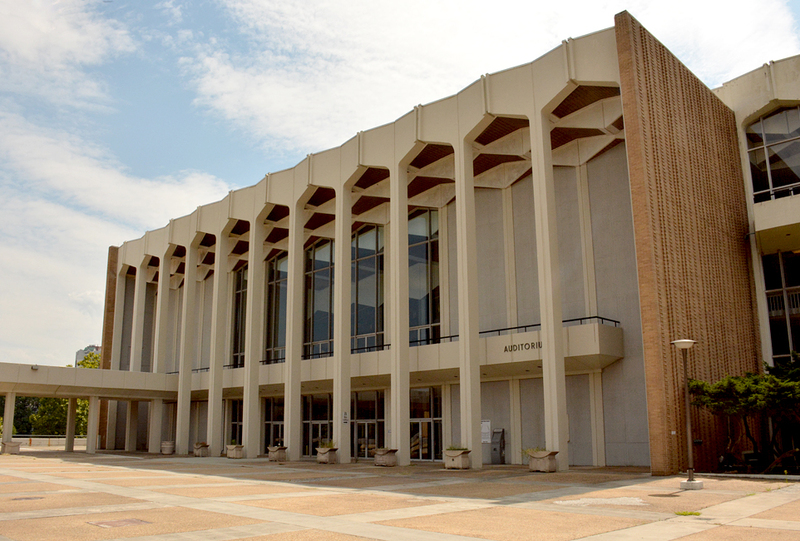 Nearly 9,000 couples have been married at Peachtree Christian Church. 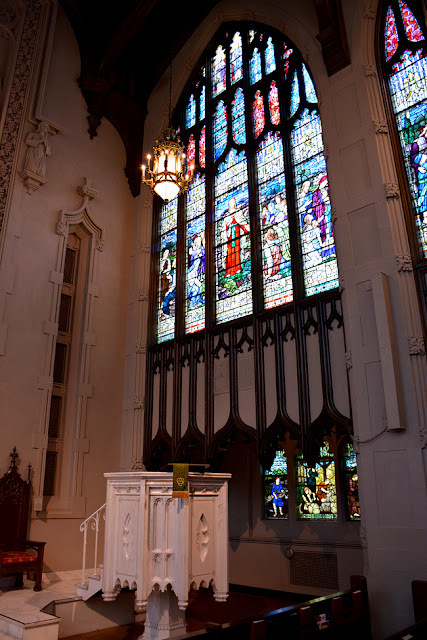 Sharon Carter, Peggy Carter's niece, spoke from this spot in the church during the funeral scene. Another of the fun aspects on Atlanta Movie Tours tours is the trivia and giveaway! This fun little activity separates the truly enthusiastic fans from the folks who are along for the ride...everyone is on a wholly unique Atlanta experience. The tour guides make the trivia fun for everyone. And on this particular tour, EVERYONE got a movie poster, a movie button AND a digital copy of the movie! I had no idea what the filming sites were for Captain America: Civil War, other than The Gulch. And I certainly had no idea where we were going when we headed to Hapeville, near Hartsfield-Jackson Atlanta International Airport and Delta Flight Museum. Immediately recognizable for its huge-letter name on the building, it turns out that the relatively new Porsche Experience Center, Atlanta was the Avengers Headquarters, a Tony Stark mansion, in the movie! And what a magnificent building it is! The plane flying overhead was total serendipity. 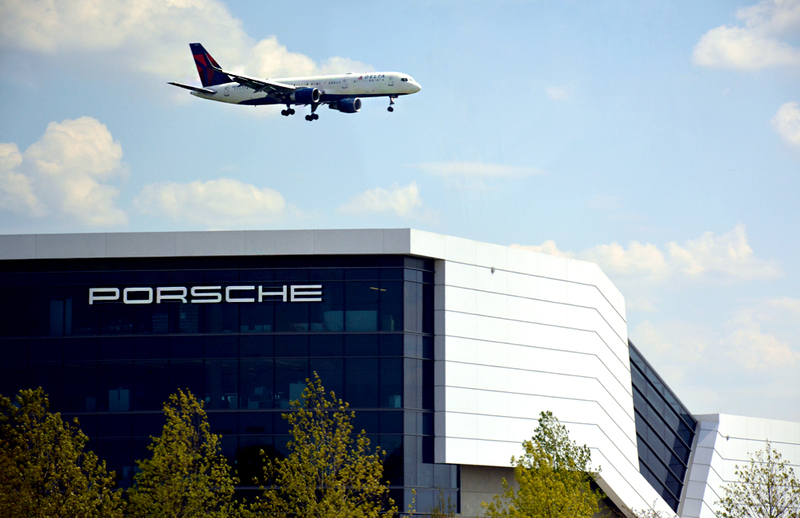 We didn't go inside the building, but the Porsche Experience is definitely on my list! Atlanta Movie Tours tours are typically about three hours and there's usually a break during the tour. On this one we stopped at Drip, a coffee shop in Historic Hapeville, near the Hapeville Depot Museum and next door to Academy Theatre. The staff at Drip were awesome and it was a delightful respite. I want to go back. Who knew that Pym Technologies Headquarters was right down the street from the Olympic Flame Tower and Turner Field?! 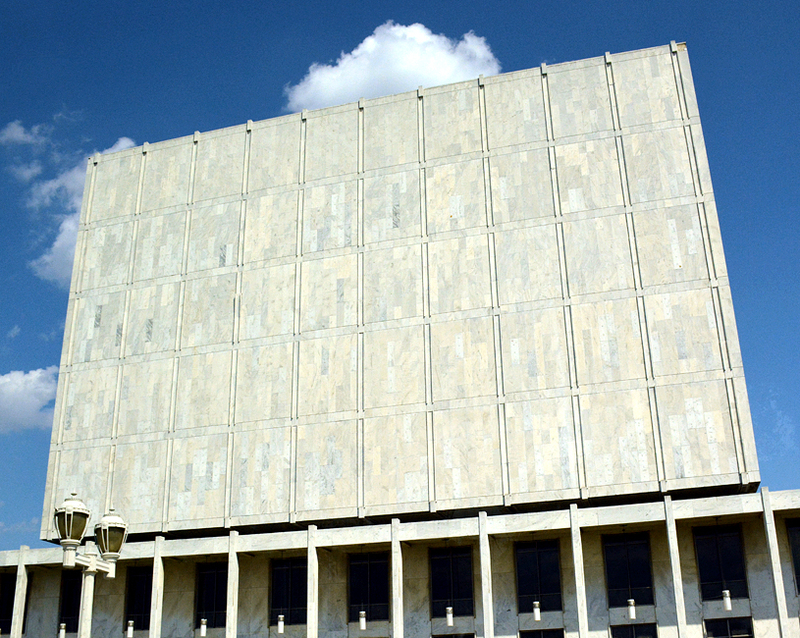 The former Georgia Archives Building, reportedly sinking because of reverberations from nearby highway traffic, was the site of another important scene in the movie. Have you seen the movie? Atlanta Movie Tours partnered with Walt Disney Studios Home Entertainment to create this truly special event, one I was grateful to experience! When the DVD was released on September 13 I went out and purchased a copy and, yes, I've watched it at least three times since! Don't judge...it's just harmless enthusiasm and fandom. 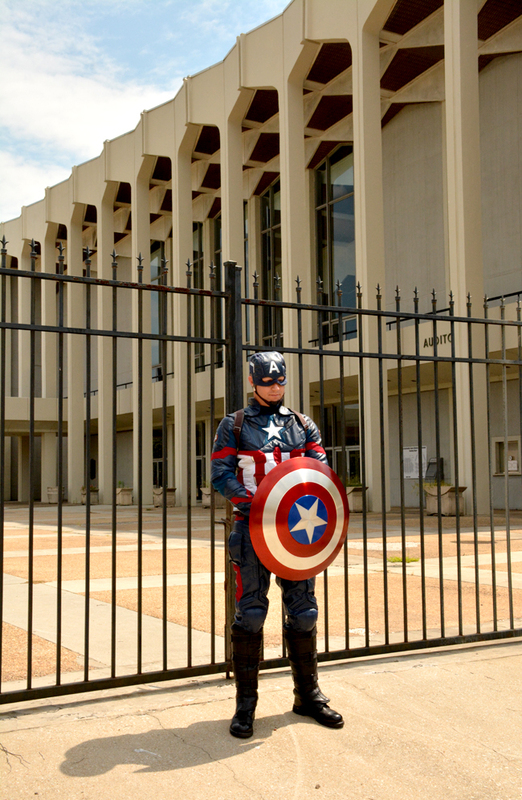 Keep an eye out for Atlanta Movie Tours' newest tour, slated for launch at the end of September...their new Hero Tour!